Well, the home stretch 🙂 I’m in two minds – always am at this point. I love to see how the trilogy/series ends and yet its hard saying goodbye to characters that feel so real, that I’ve worried about. How authors must feel I can’t imagine. Still, I love to reread good books, and this is one series that’s so unusual, so different from anything else, that I think a back to back reading will be even more enjoyable than this piecemeal reading of instalments. I had to reread the last couple of chapters of book two to remind myself where we were up to as its such a complex novel. SO, by now after books one and two ( and don’t try jumping into book three without reading those, you’ll get hopelessly lost) we are well informed about the background and characters, though its been so intense and so very different to the usual fantasy/paranormal reads, that I have trouble recalling exactly how it all started and some of the connections. That’s where a back to back session will make this trilogy even more enjoyable! This picks up from the end of book two, where Blake and Addie have journeyed back through a Wentworth painting to 1920’s. They’re hoping they can find Addie’s dad and grandfather, find and deal with Otto, and bring back Blake’s mother who went with Otto under duress, knowing it was the only way to keep Blake and Addie safe. Simple then, should only take a short while….! Note that term “deal with”. They’re all shying away from what they really mean, haven’t quite faced up to what they have to do to stop him permanently. Otto’s such a mad man now, so unpredictable, unable to be reasoned with that everyone is shying away from what Deal means…there’s little grounds to imprison him in the present time, he’s done some awful things, committed murder, but there’s no proof. Likewise the 1920’s, even if they could manage to get him imprisoned he’s bound to find a way out, or be there for just a short time. With his abilities to “push” people, and his manipulating but convincing nature he’d find a way. He’s a really clever man, if only he’d stuck to his first intentions and not let the power go to his head, want more and more and become obsessed over keeping Blake’s mum. She loved him once, til he became obsessed with power and control. Addie’s worried about Blake, its been two years now back in time. 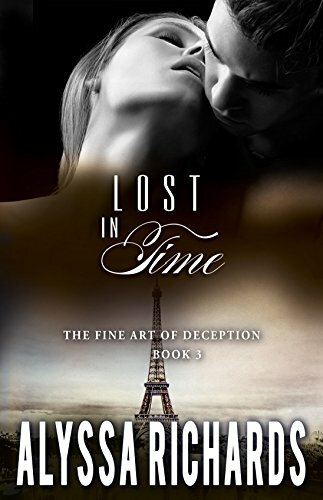 They went as partners, taking Blake’s half brother and her cousin, Phillipe, with them, but as time goes on Blake disappears for days at a time without telling her where or why he’s gone. He’s become more and more distant, obsessed with the twin aims of finding his mum, and keeping her and Addie safe from Otto. He’s becoming a control freak, and even though Addie understands his fears its pushing her away. Phillipe, who she’s known since a child, has become much closer to her too, and Blake is jealous of that. Even though he can see what Addie needs from him, see that he’s risking their relationship by his actions, he still can’t seem to change, just getting vaguely irritated when she brings it up, saying he’ll try harder but still going on the same way, convinced he and only he can keep her safe, make the decisions needed, shutting her out physically and emotionally. Phillipe loves Addie, will keep aside if Blake is who she wants, but can see the breach happening and is ready…he even warns Blake but nothing changes. I loved the 1920’s part, which covers most of the book. There are snippets to what’s going on in the current time via the books that send messages. As the action moves from America to Paris though they need to find a third book so they can continue to communicate with Addie’s family. That’s not easy, Addie’s dad and granddad know where one was earlier, but of course nothing is static and things change all the time so they have to hope its still there…. Throw in that Jack and Sarah, who are Blake and Addie in a previous incarnation, are alive here, that Blake is becoming more like Otto in the way he sees Addie, that Addie’s dad and granddad have made a life for themselves back in time after 20 years there, and the story becomes ever more complex. Addie’s dad and granddad try to impress on Blake, Addie and Philippe how important it is not to interfere in the past, but with so much going on and being in the same place as their past selves its very difficult, and then things really come to a head! I was desperate for them to make it, I love Philippe, but it’s Blake and Addie that make the magic for me, they belong together, and I wanted that for them with Phillipe getting his own lady at some point. Would it happen though or would it all go wrong? Its riveting story, full of surprises. I really felt I was back in the Twenties with them, loved the descriptions of the clothes, the day to day life, and the week it took them to sail to Paris. Travel wasn’t quick and simple then. Of course they had money and that makes things easier, and it was because of the first two books, where we saw how they’d amassed what they needed that made this part feel so genuine. I hate books where things come up for convenience, and they get funds by the equivalent of some kind of lottery win, unknown relative leaving a fortune or something. Done this way, where we know where the money has come from, can see the trail and it makes sense, then I’m happy. The last quarter is non stop action it feels, with things looking positive, then its all turned around. There’s several different plotlines all coming to a head at the same time, and its almost breathless the way I was speed reading through full of excitement, happy one moment and then down when it all went wrong once more. I really couldn’t guess how things would get resolved, what would happen, and its clever writing like this that kept me wondering if, how, why and when…. A fabulous read, something so very different in the Fantasy/Paranormal genre where it’s dominated by stories are just a couple of hundred pages or less of a Vampire or Were hundreds of years old finding his Mate, in a simplistic, sickly thin story * roll eyes * so its a real treat to get a book I can really get stuck into, lost in the magic (!) of the story. I’m hoping that maybe there’s more to come from this world, perhaps Phillipe or some other relatives have inherited some of the reading/pushing talents that allow the story to continue but focus on them, and keeping Addie and Blake happy, just showing us them in cameo roles. Stars: Five, one to keep, to savour rereading the whole trilogy back to back.